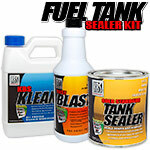 Gold Standard Fuel Tank Sealer is a superior, one part, ready-to-use fuel tank sealer that is specifically formulated to stop rust and corrosion all over the world. 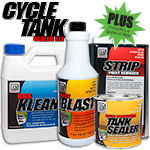 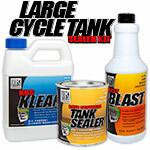 When used in combination with KBS Klean and RustBlast, it will form a super-tough, fuel and alcohol impervious coating, while simultaneously sealing small pinholes and weld seams. 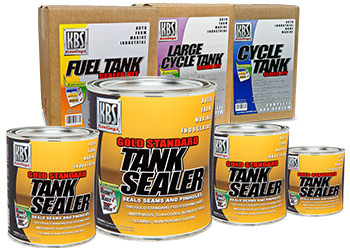 Gold Standard may be used on steel, aluminum, and fiberglass tanks. 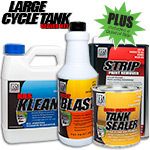 Applications include fuel tanks, diesel tanks, biodiesel tanks, oil tanks, utility tanks and non-potable water tanks. 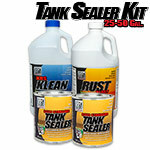 The Tank Sealer is Impervious to all fuels, alcohol additives & most solvents. 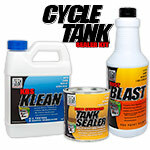 It's been rated as the industry‘s NEW Gold Standard in gas tank sealers.